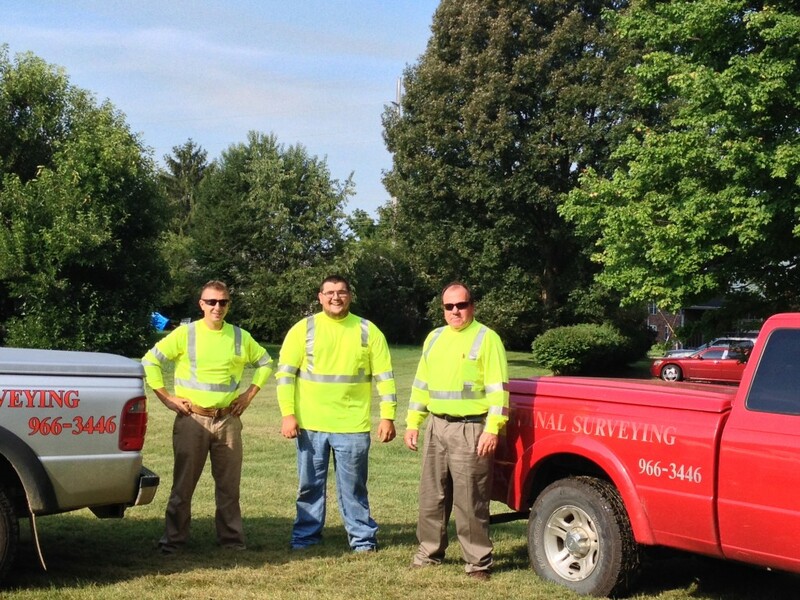 Cardinal Surveying employees are suited up for a safe day of work! The company’s land surveyors can be outfitted in the required safety wear for your specific jobs’ needs. Special boots, vests, safety goggles or whatever the specifications require. All employees hold current 9 panel drug cards. So whether working at Ford Motor Company, Norfolk Southern Railroad, a construction site, or at your home, Cardinal Surveying is prepared to have a safe and productive day of work. Give us a call for ALTA/ACSM, boundary survey, topographic, construction layout or zoning work in the Greater Louisville, Kentucky or Southern Indiana area.